Many people have been asking me if the stars of the film Once�Glen Hansard and Marketa Irglova�have recorded albums together in the past. People love the music of this magnificent film and they want more. Well, good news! There�s plenty more where that came from, at least from Hansard, the frontman for one of Ireland�s most popular bands, The Frames. 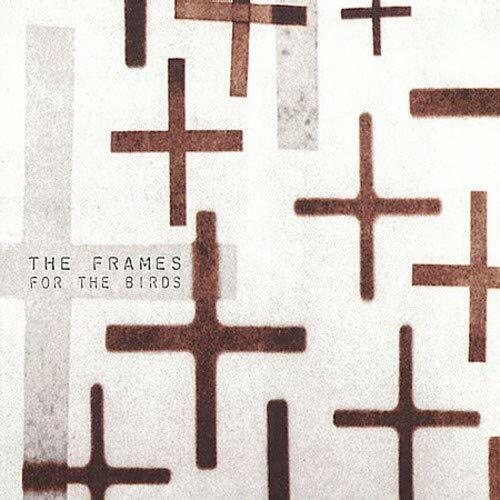 Unfortunately, The Frames still enjoy only modest, indie success here in the States and elsewhere, which is one of the reasons why the popularity of �Once� (directed by one-time bass player for The Frames, John Carney) is a kind of long-overdue success that will help give this band more recognition. But I�m getting ahead of myself. This is a soundtrack review column, so let�s get to the review first. The soundtrack to Once is a rarity, indeed. It not only invokes the images and emotions of the film itself, but stands as a great album all its own. You can even recommend it to people who have never seen the film before and they can listen to it without feeling alienated in any way. I can count the number of soundtracks on one hand that match that kind of praise (Purple Rain comes immediately to mind). The album starts out with the signature track �Falling Slowly,� the primary reason, I�m sure, people will be buying this soundtrack. The album version forgoes the intimate and seemingly spontaneous version sung in the music shop by Hansard and Irglova and settles for the version at the end of the film, in which a string section takes hold of the latter half of the song and helps it soar a bit. Either one would have worked, as this is one of those songs that�s pretty hard to screw up. Most of the songs on the soundtrack sound exactly as they do in the film, with maybe a tweak here and there. A simple acoustic guitar and piano dominate the musical pallet, accompanied by Hansard and Irglova�s mournful, desperate and delicately delivered lyrics. A small dose of humor comes in early on at Track 3, Hansard�s self-depricating �Broken Hearted Hoover Fixer Sucker Guy,� ripped right from the movie, which would normally be an annoying �dialogue track,� always the killjoy of any great soundtrack (yes, Tarantino movies included. I want to hear music, not your screenplay). It works here, and helps reinforce a crucial element of the storyline, that sometimes just a song�any song�can help you through the rough spots. Track 6, �Gold,� represents the only non-Hansard/Irglova track on the album. This little Irish lullaby by a band called Interference sounds perfectly in synch with everything else. If the album has maybe one skipable song that disrupts the mood, it would have to be �Fallen From the Sky,� an upbeat, happy love song driven by a Casio keyboard loop that all but dominates the song. Be patient, though. It�s a grower. The sequence of the songs, however, does not simply follow the order of the film. Hansard�s aching cry �Say It To Me Now,� which comes in early at the film as he sings to anyone who passes by on the sidewalk, comes in as the disc�s finale. It�s a curious placement that perhaps suggests that Hansard�s character will soon be singing this song to Irglova�s character somewhere in the future. I would hope not. If, come January/February of next year, you wonder why more of these songs did not get nominated for a Best Song Oscar, it�s because many of them are not eligible. In fact, this soundtrack represents the third release (and third versions) for �Falling Slowly� and �When Your Mind�s Made Up.� Both songs appear on The Frames� latest album The Cost and a solo project by Hansard, featuring Irglova� titled The Swell Season. The latter acts as a great companion piece to the Once Soundtrack and should satisfy those wanting more of the same. The versions of �Falling Slowly� and �When Your Mind�s Made Up� sound more like the spontaneous, stripped down versions in the film. The songs �Lies� and �Leave� also appear on the album, but don�t let that deter you from picking it up. The remaining tracks sound every bit as eloquent and disarming as everything on the Once Soundtrack, particularly Irglova�s haunting coda �Alone Apart,� which closes the album. If the two albums have a fault, it�s that she doesn�t have enough songs of her own (3 songs between the two albums). Nevertheless, we�re lucky to have her and if she ever comes out with a solo album of her own, she should have no problem selling numerous copies. But what about The Frames? They�ve been around for about 15 years and much of the music in Once follow The Frames� formula of songwriting. But where should you start? Well, I�ll break it down for you. The band hasn�t been consistent as far as line-up, record labels or even band names. But the music (first album notwithstanding) has always been the sound of The Frames and no other. Whisper-to-a-scream guitar rock, punctuated by an ethereal violin and powered by Hansard�s lyrics of longing, heartbreak, dark, romantic imagery, folklore, fables, self-examination and a love for life. There are no bad albums here. Another Love Song Word has it that Glen Hansard hates this album, but I think he�s being a little hard on himself. Sure, it doesn�t quite represent the sound of what The Frames would eventually become and Hansard�s haircut and posturing in the photos is a little too hard to stomach, but for a collection of simple, guitar driven bar rock, you could do a lot worse. Worth the hunt, but only if you own everything else first and just can�t get enough. Worth picking up for: The Dancer, Downhill From Here, Another Love Song. Out of print and nowhere to be found on the web site. Dance the Devil Nearly every song on this album has become a staple in the band�s electrifying live shows. More on that in a moment. The album deals a lot with being directionless in life and desperately needing a compass. Or is life better without one? A perfect roadtrip album, both for the daytime and at night when there�s a clear bed of stars above you. Keep an ear out for references to Willy Wonka and Cool and the Gang. For the Birds It�s anything but. Recorded in Chicago (one of the band�s favorite tour stops) with producer Steve Albini, this represents The Frames at probably their most mellow, with more whispers than screams. It�s also the only album that starts off with a cacophonous instrumental track, only to be followed up with the sublime �Lay Me Down,� which has already become a classic (well, for the fans anyway). You can listen to the album stream here. Set List Okay, seriously, no kidding around, the best way to discover this band is live. 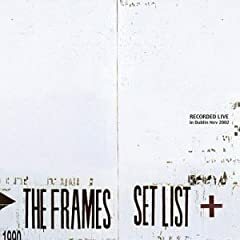 The energy, the humor and the passion all comes full force in this spectacular live album, which showcases The Frames at their best. The album never loses momentum and Hansard�s storytelling between tracks is (as usual) engaging, funny and thoughtful. The other live album that came out around the same time, Breadcrumb Trail, also does a good job of capturing the spirit of the live shows, but it remains a UK-only release. Worth picking up for: All of it. You can download a live version of �Fitzcarraldo� here. Do it. Burn the Maps My personal favorite. This is The Frames at their darkest and most sonically adventurous. It�s also a perfect break-up album and an expertly crafted collection of songs that more than makes up for the lack of screams on For the Birds. The 7 � minute �Keepsake� might well be the band�s best song ever. The Cost This might be the first time The Frames didn�t top themselves. In my opinion, they always got better and better with each album, but The Cost broke that streak. It�s still well worth picking up and, most likely, it�ll be the first one everyone buys after buying Once. The full band version of �Falling Slowly� doesn�t quite have the same power as the other two versions, but at least it shows that Hansard doesn�t shy away from finding new ways into his songs. Admittedly, the album gets better and better with each listening.